The Princess Has a Wardrobe Malfunction! 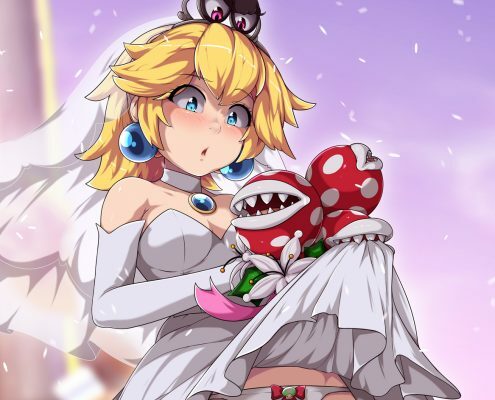 https://animefluxxx.com/wp-content/uploads/2017/12/WedPeachThumb.jpg 1000 1167 AnimeFluXXX https://animefluxxx.com/wp-content/uploads/2015/10/FluxxxLogoSmall.png AnimeFluXXX2017-12-21 18:20:402017-12-21 18:20:40The Princess Has a Wardrobe Malfunction! Marina Enjoys Herself at the Club! As an extra bonus for members this month, I drew the newly-debuted Octoling cutie Marina having a bit of fun backstage. Site members get both the regular and ahegao/gooey versions in high res! https://animefluxxx.com/wp-content/uploads/2017/07/MarinaThumb.jpg 1000 1167 AnimeFluXXX https://animefluxxx.com/wp-content/uploads/2015/10/FluxxxLogoSmall.png AnimeFluXXX2017-07-13 13:44:292017-07-13 13:44:29Marina Enjoys Herself at the Club! 2B Gears Up for Action! https://animefluxxx.com/wp-content/uploads/2017/07/2b-Thumb.jpg 1000 1167 AnimeFluXXX https://animefluxxx.com/wp-content/uploads/2015/10/FluxxxLogoSmall.png AnimeFluXXX2017-07-08 17:59:032017-07-08 17:59:032B Gears Up for Action! https://animefluxxx.com/wp-content/uploads/2017/05/WendyThumb1.jpg 1000 1167 AnimeFluXXX https://animefluxxx.com/wp-content/uploads/2015/10/FluxxxLogoSmall.png AnimeFluXXX2017-05-13 10:26:342017-05-13 17:47:12She is So Smug!